After two people were arrested in the UK this week, a Europol-led investigation into pirate IPTV services has led to four more arrests in Southern Ireland. Two men and two women were detained under suspicion of copyright and money laundering offenses. Major TV companies and the MPA provided assistance to the authorities. Earlier this week, officers from Hampshire County Council’s Trading Standards unit assisted by local police executed a warrant at an address in Bursledon, Hampshire. A 41-year-old man and a 30-year-old woman were arrested as part of a pirate IPTV investigation. They were detained under suspicion of offenses under the Copyright, Designs and Patents Act 1988 and money laundering. In a statement, Hampshire County councilor Roy Perry said that illegally offering content from companies such as Sky and BT Sport causes losses to legitimate business and perpetrators will continue to be pursued by the authorities. 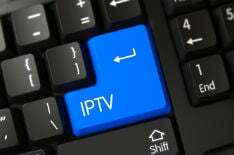 The statement indicated that others involved in illegal IPTV were being targeted in both Scotland and Ireland. An announcement from Europol now provides additional detail. Citing a complex year-long investigation coordinated by Europol and involving the Garda National Bureau of Criminal Investigation, Police Scotland, Trading Standards, the UK Intellectual Property Office, the Audiovisual Anti-Piracy Alliance (AAPA) and Federation Against Copyright Theft (FACT), the law enforcement agency confirmed four further arrests in Southern Ireland. Two men, aged 42 and 45, and two women, aged 37 and 40, were detained following house searches in Crumlin, Dublin and Ashbourne, Co Dublin. All were arrested and questioned under the Copyright and Related Rights Act 2000 and the Criminal Justice (Money Laundering and Terrorist Financing) Act 2010. Authorities said moves were underway to freeze six bank and two credit union accounts containing €84,000. Nine other third-party accounts are said to have been limited. Reports indicate that more than €700,000 was paid into the accounts during the past three years. “This is an organized criminal enterprise where consumers are funding criminality and depriving genuine industry of legitimate revenue,” said Detective Superintendent George Kyne, Garda National Bureau of Criminal Investigation. With details of the operation in England and Southern Ireland filtering through, events in Scotland are yet to be clarified. Europol has only confirmed that “several actions took place” and as yet there are no reports of any arrests. Europol added that the investigation received intelligence and assistance from major TV companies and the Motion Picture Association.